Yunnan’s origins reach far back in time. For several decades it was believed that Peking Man remained the oldest evidence of human life in China. However, in 1965, two human teeth were found near Yuanmou (northern Yunnan Province) 1.5 to 2.5 million years old, re-establish the remains of the so called “Yuanmou Man” as the ancestor of Peking Man. The discovery that Yunnan may have been the first inhabited area of China has forced a revision in the view of perception of the region as a remote, late developer in the long and venerable history of China. Yunnan was ruled by 6 Princes. Mao’s Red Army crossed into Yunnan and this is when Yunnan was fully integrated into China. Another adjustment to the view of Yunnan as a savage, uncivilized outland was necessary in 1955 with the discovery of a highly refined Bronze Age culture centred on the shores of Lake Dian near Kunming. Amongst the objects found within 48 intact tombs dating back to 1200BC were a number of bronze treasury vessels whose lid-figurines vividly portray the daily life and rituals of the small agricultural kingdom of Dian. These vessels can now be viewed at a small museum at the Golden Temple in the north of Kunming. Other distinct societies and ethnic groups may also have existed at this time. The Bai (Dali) and Yi nationalities, for example, claim to have migrated to Yunnan as long as 3,000-4,000 years ago. The first time Yunnan is mentioned is in an account of the first Chinese invasion of Dian in 339BC written by a Han historian. During the Warring States Period (453-221) China had begun to consider the possibility of a trade passage across southern China, through Burma to India and beyond. Accordingly, the Chu general Zhuang Qiao was dispatched to Dian to suppress the “southern barbarians.” After a ten-year campaign, his return blocked by armies of rival states, the general decided to stay and appointed himself as the sovereign ruler of the kingdom of Dian. His Dian Kingdom lasted until 109BC. With the advent of the more dynamic Han Dynasty (207BC –AD220) a second invasion of Yunnan was launched, this time with the approval of the King of Dian who hoped that as allies, the Chinese would help him conquer neighbouring tribes. 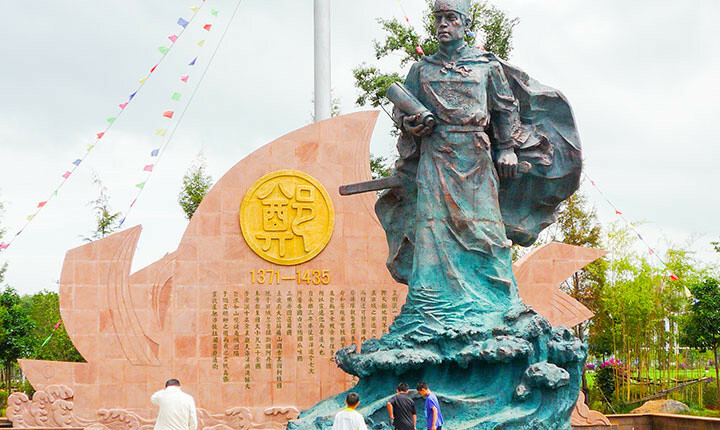 Although the Chinese troops were not able to penetrate Yunnan’s awesome western mountains, an imperial seal was issued by the Emperor Wu Di establishing Dian as a tributary state of the Han Empire. The Han interfered very little in the happenings of all but eastern Yunnan. Dian continued to be ruled by tribal chiefs who paid nominal tribute to the emperor. With the dissolution of the Han, the kingdom of Dian fractured, weakened and finally disappeared. 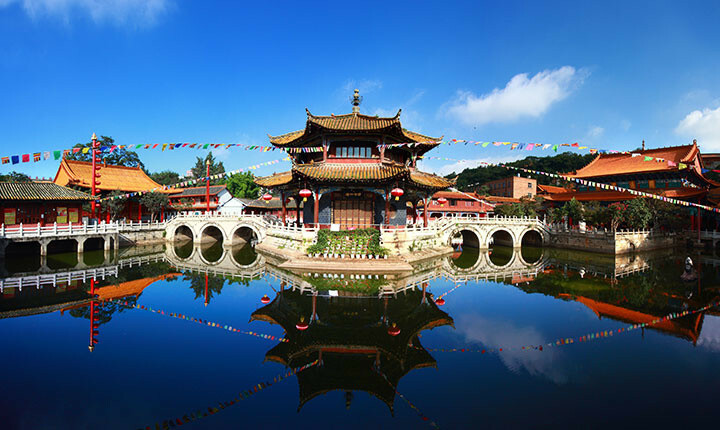 During the 8th century Yunnan was ruled by 6 princes. During a banquet ostensibly to welcome and consolidate the different states, the most ruthless and politically ambitious of the princes had the hall set on fire with the other five consorts inside. Seizing their lands, he created the State of Nanzhao, a strong kingdom that lasted for over 200 years. Nanzhao’s successor, the kingdom of Dali, a strong and independent state based in Dati, remained a power to reckon with until 1253 when it was ransacked by the armies of Kublai Khan. Yunnan continued to be ruled as a distant colony rather than a province of China until 1658 when a Manchu troop drove the last Ming emperor into Burma. Because of their distance and isolation from the administrative centre, the Chinese garrisons in Yunnan remained a largely symbolic presence, subordinate to local chieftains, warlords and aboriginal groups. During the declining years of the Qing Dynasty, Yunnan turned towards Burma and Indochina to read its political future. At the same time as Burma fell under the influence of the British, the French were advancing into Tongkin, the first step in their eventual colonization of Vietnam, Cambodia and Laos. With the assistance of the French, the Chinese emperor put down the Muslim Miner rebellion of 1855. In return, the French were able to extract generous concessions from the exhausted Qing dynasty for extracting tin and copper from Yunnan. After the final collapse of the Qing dynasty, Yunnan fell once again into the hands of contending local warlords. With the Japanese invasion of eastern China in 1937 Yunnan became an important strategic centre for transferring food, weaponry and other supplies by road from Burma. It was from here that General Stilwell’s ground forces and General Chenaults’s “Flying Tigers” operated. In 1949 Mao’s Red Army crossed into Yunnan and this is when Yunnan was fully integrated into China. Under Mao, any form of ethnicity was condemned as “little nation chauvinism”, minority traditions as “superstitious” and “backward.” Deng Xiaoping did much to rectify the damage caused by overzealous Red Guards, and the minorities, many empowered with their own autonomous prefectures and counties, were once again allowed to practice their indigenous traditions and customs. 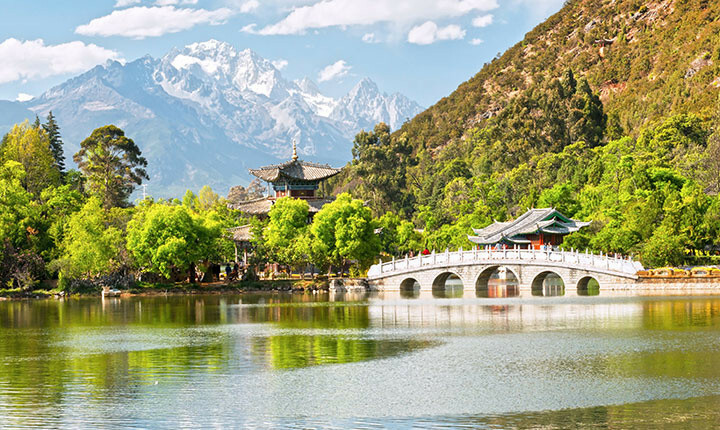 Although remote areas of Yunnan lag far behind the rest of China, since the province decided to throw in its lot with China, it has enjoyed a higher level of prosperity than at any time in its recorded history. In 2012 the Central Government approved the Five-Year Plan for further promoting the economy of the western regions, a step that is aimed at narrowing the gap between the country’s wealthy coastal provinces and its under-developed western regions. The governors of China’s provinces and autonomous regions, including mayors of its centrally controlled municipalities, are appointed by the central government in Beijing after receiving the nominal consent of the National People’s Congress (NPC). There are 3 types of provinces in China: The Special Administrative Region (i.e. Hong Kong), Municipality (i.e. Chongquing), Autonomous Region (i.e. Guangxi) and Province (i.e. Yunnan). A standard provincial government is nominally led by a provincial committee headed by a secretary. The committee secretary is first-in-charge of the province; in second in the governor of the provincial government.